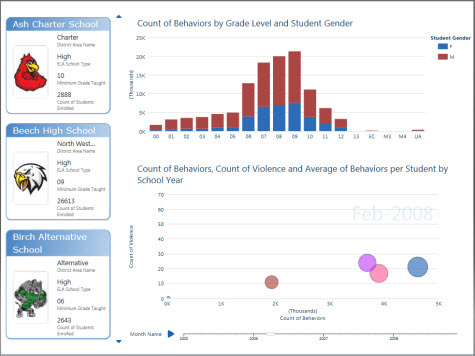 One of the areas which has seen lot of growth and innovation is the area of dashboards. Data visualization is a space which has seen lot of vendors offering very innovative and impressive products. Microsoft reporting with SSRS is good and improved with report builder 3.0 but it needs to broaden its offering to compete with other vendors like Microstrategy (which has now started offering BI on the cloud),Tablaeu. In coming version of SQL Server 2012, microsoft has introduced a full fledged adhoc reporting tool, it is an end-user focused tool that provides easy to use ad-hoc reporting and data exploration for users ranging from analysts to information workers. Here is a link to a tutorial on Powerview, it also lists the prerequisites for installing Powerview. Data visualization is an area which is growing and gaining popularity with information workers.